Are you thinking of creating your own, or already have a start up business? Do you want to know more about Cyber security? Do you have concerns about legal issues, such as the GDPR? 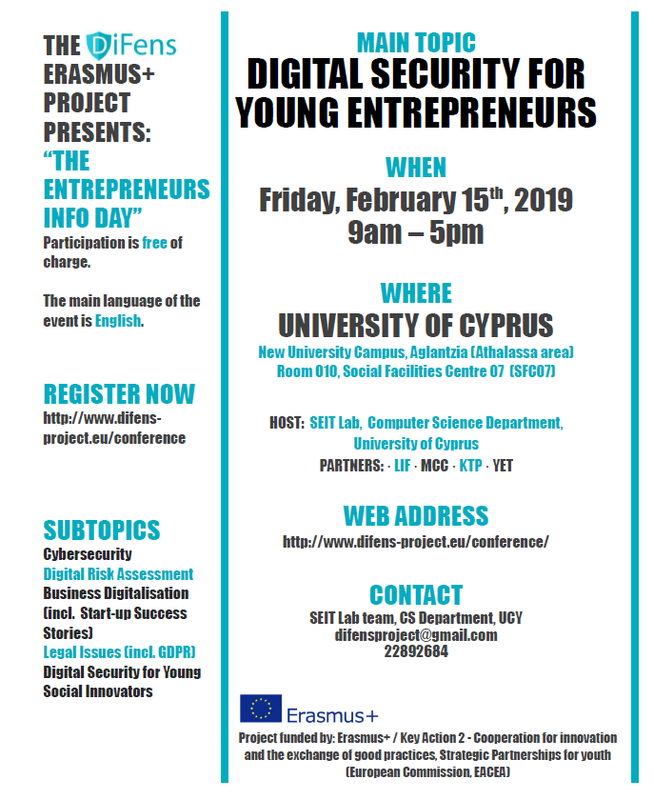 Join us at “THE ENTREPRENEURS INFO DAY” hosted at the University of Cyprus, to learn more about Digital Security for Young Entrepreneurs. For more information and registrations: http://difens-project.eu/conference/.